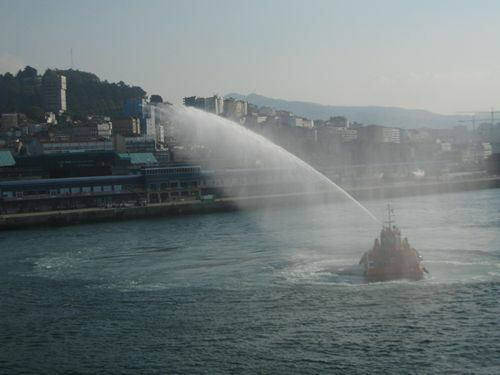 Leaving the port of Vigo, Spain. similar to those in the U.K.
and some drinking of coffee. 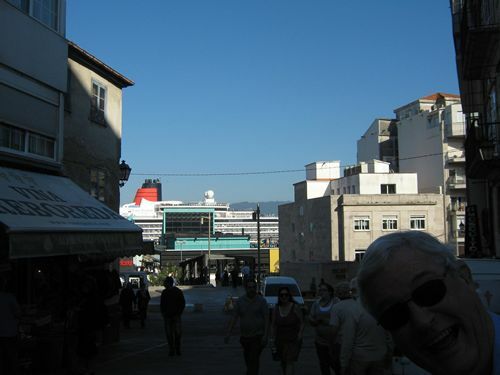 is just seen in the background. My friend Brian just had to get in the picture.